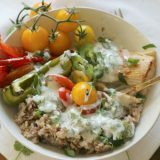 Seared salmon with asparagus- scallion salsa and a drizzle of lime yogurt makes these Fish Tacos amazingly delicious. Ditch the tortillas and wrap in lettuce to keep it low carb. This post is in partnership with Sun Basket, opinions and photography are my own. Thank you for supporting companies I believe in. What’s better than seared salmon? 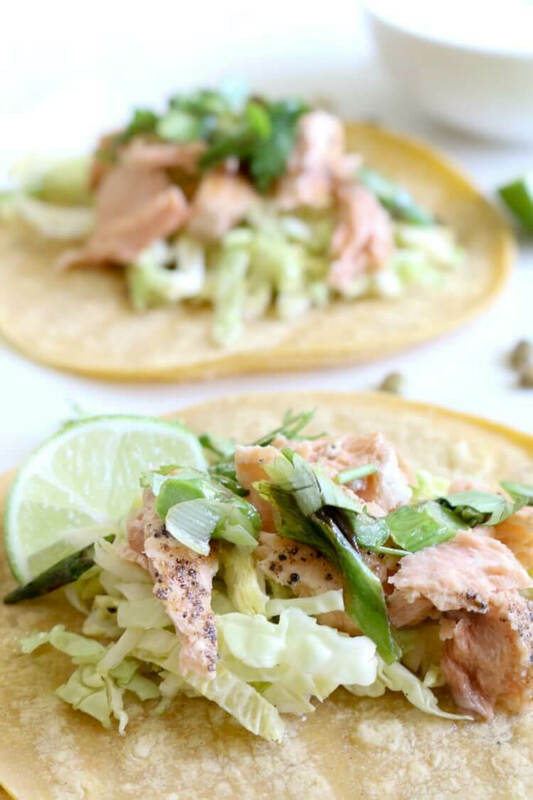 Seared salmon tacos! These tacos are loaded with so much flavor it’s hard to not like them. Quick pickled cabbage adds tang, while the browned asparagus and scallion salsa add wholesome veggies. 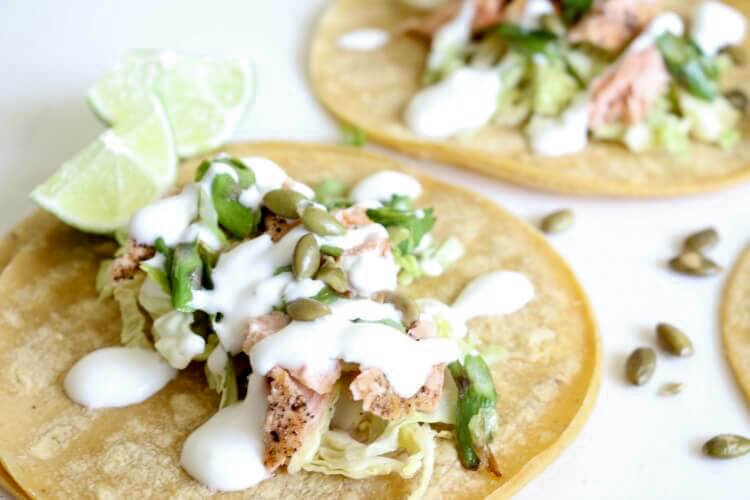 The star of the dish is inevitably the pan-seared wild salmon but when you drizzle all these goodies with lime yogurt and top with roasted pumpkin seeds, the tacos become out of this world delicious. 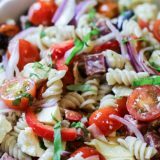 This recipe has been generously provided to you by Sun Basket and flawlessly created by their executive chef Justine Kelly. Sun Basket is a healthy meal kit service but not just any meal kit. We’re not talking about shakes and TV dinners. These meals are top-quality with sustainably sourced organic ingredients. 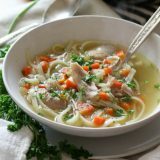 The recipes are delicious and easy, making cooking at home a breeze and something to look forward to rather than dreading the 5 o’clock dilemma. Sun Basket makes it easy to cook healthy meals and is suitable for people following Paleo, Gluten-Free, and Vegetarian diets. They also have options for Breakfast only and their newest (and my favorite!) is Family option. 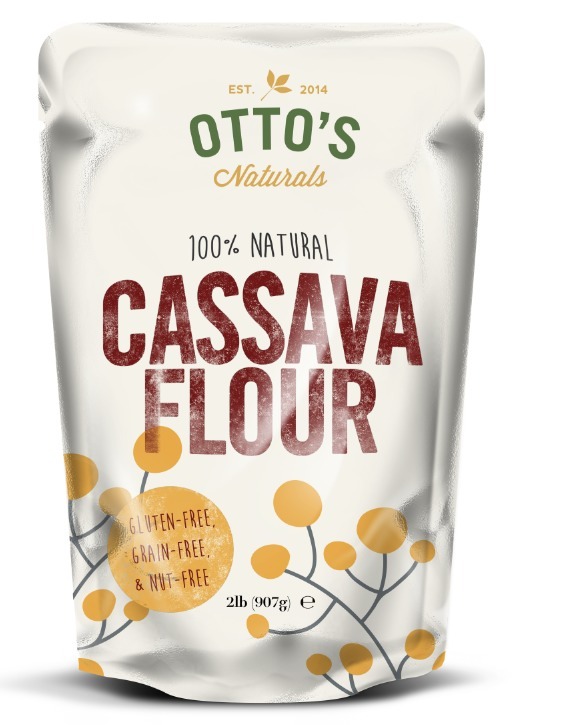 You get to choose from delicious recipes each week and have them delivered to your door in packaging meant to sustain freshness long after it arrives on your doorstep. Sun Basket takes great care to select organic, non-GMO produce from the best local farms and sustainably sourced, hormone-free meats and seafood. Did I mention the recipes are quick and easy with minimal cleanup? Yes, yes they are. All ingredients are carefully packaged and labeled – so no more wandering down aisle 5 of your Asian supermarket trying to find that peculiar ingredient. 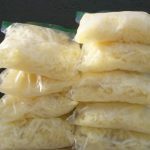 So far, all the recipes I’ve tried from Sun Basket have been keepers in my family. My husband loved them all. My kids devoured them all. If you want to add quick, easy and healthy meals to your routine, wait no longer. Get 3 FREE Family Menu Meals from Sun Basket of fresh, organic, non-GMO ingredients and kid-friendly recipes delivered to your doorstep! 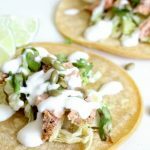 Pan-seared salmon with quick-brined cabbage, unique salsa, and lime yogurt makes a delicious taco! Lettuce wrap it to keep it grain free or use your favorite tortilla. 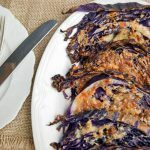 Cut away any core from the cabbage; cut the cabbage into thin strips. 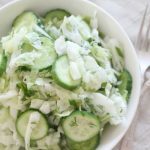 In a small bowl, stir together cabbage and quick pickle brine. Season with salt and pepper and set aside. Trim the root ends from the scallions; thinly slice. Snap off the woody ends from asparagus. In a medium frying pan over medium heat, warm 1-2 tablespoons oil. Add chopped scallions and asparagus and cook, stirring once, until tender and lightly charred (about 3-4 minutes). Remove from pan and place in a small bowl. Add cilantro and 1 teaspoon oil. Season with salt and pepper and stir to combine. Set aside. Pat the salmon dry with paper towel; season generously with salt and pepper. In the same pan used for vegetables, warm 1 tablespoon oil over medium high heat. Add salmon, skin side down, and cook until the skin is browned and crisp (4-5 minutes). Turn and cook until flesh is opaque and flaky (2-3 minutes). Transfer to a plate, and flake the salmon into bite-size pieces using a fork. Discard the skin if desired. Juice half of the lime and stir together with yogurt. Season with salt to taste. Reserve the remaining lime half for garnish. Warm tortillas on stovetop directly over flame or on pan just until pliable and warmed through. Or prepare large lettuce leaves if desired. Transfer tortillas to individual plates and fill with pickled cabbage, salmon, asparagus-scallion salsa. Top with lime yogurt and pumpkin seeds; serve with the lime wedges. | Nutrition Information Disclaimer | Nutrition calculated using butter lettuce wraps. Use corn tortillas or other gluten-free tortillas if desired, but please note your nutritional information will change. 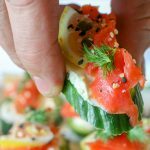 Need More Easy Seafood Recipes? Those tacos look amazing! I have never heard of Sun Basket but that is beautiful, original recipe that my family would love! Yes, I love that it’s so unique but full of amazing flavor. This looks delicious. We don’t have this store nearby, but it sounds great. SunBasket is an online meal kit service. They are not found in stores, Sandi. Hope that helps. This looks so delicious! I love salmon tacos!! And that drizzle, mmmmmmmmmm. Only change I would do is change the corn tortillas to flour and I’ll be in business! I have never thought to make fish tacos with salmon. What a yummy cinco de mayo recipe too. It’s unique and delicious – hope you enjoy it. 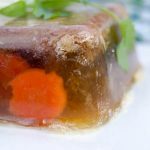 This looks like a great recipe to try for my family! Thanks for sharing! Thanks Jeannie. Hope you like it! These tacos sound delicious! 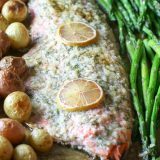 We LOVE salmon in our home, such a great idea to pair it with the asparagus. Love that creamy yogurt drizzle too. Sun Basket is awesome! Agreed Emily! I love everything about these tacos. Oh, these sound so delicious! I LOVE salmon, and I LOVE fish tacos! I wish I had some to devour right now! 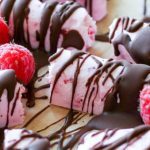 These would be demolished in seconds! Yumm indeed! Yum! So delicious. And I love Sun Basket! Great service! Thanks Linda for introducing me to SunBasket. They are awesome! Cannot wait for Taco Tuesday and Cinco de Mayo! Salmon and asparagus is such a good idea! Those two are so good together! Thanks Joni. These tacos sound wonderful! Love that yogurt dressing on top! Thank you Corrine. The yogurt dressing is divine! 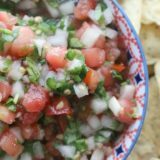 Scallion salsa – I think I found my new love language! YUM! 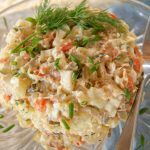 This looks great, and our farmer’s markets are just now starting to open this weekend – I anticipate loads of Michigan asparagus so I will have to try this! Love this time of year, partly because of asparagus. So good! My kids love salmon! This is a brilliant idea for them for a weeknight meal. Great post, thank you! 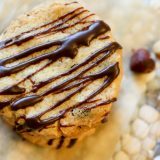 This recipe is kid-friendly too! Mine loved it! Daaaang these tacos are loaded! Love how easy they are! These look really good! 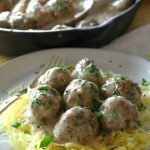 I have to check Sunbasket out – sounds like a service I could easily recommend to my readers who are always looking for healthy but quick options. Yes, I love SunBasket. Makes meal time so easy. 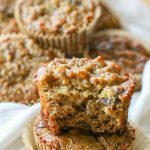 There are so many of my favorite ingredients going on here! There’s definitely nothing better than seared salmon, and I love the addition of pumpkin seeds on top! I agree – those toasted pumpkin seeds are awesome! This is so simple and delicious ! My kind of meal ! Who doesn’t like simple and delicious! 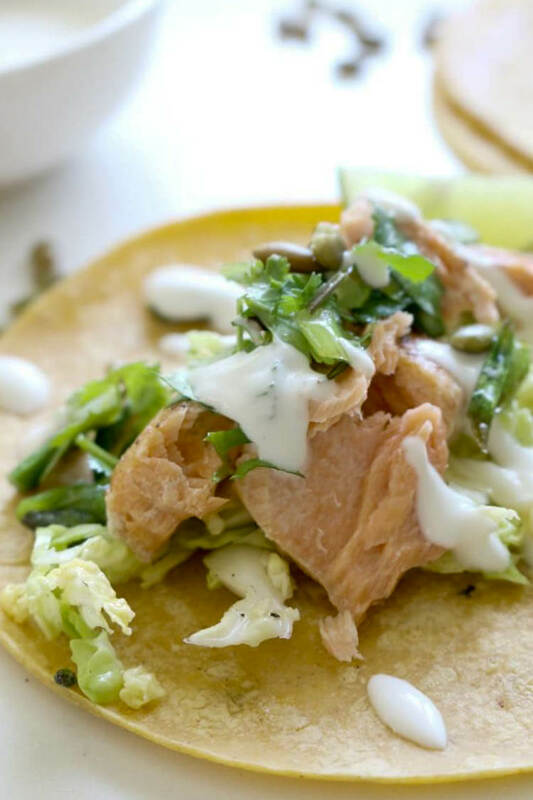 Salmon is great in tacos! So good!! 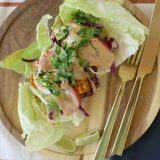 Love these perfectly SPRING tacos! Yum! Thanks Cristina – us too! 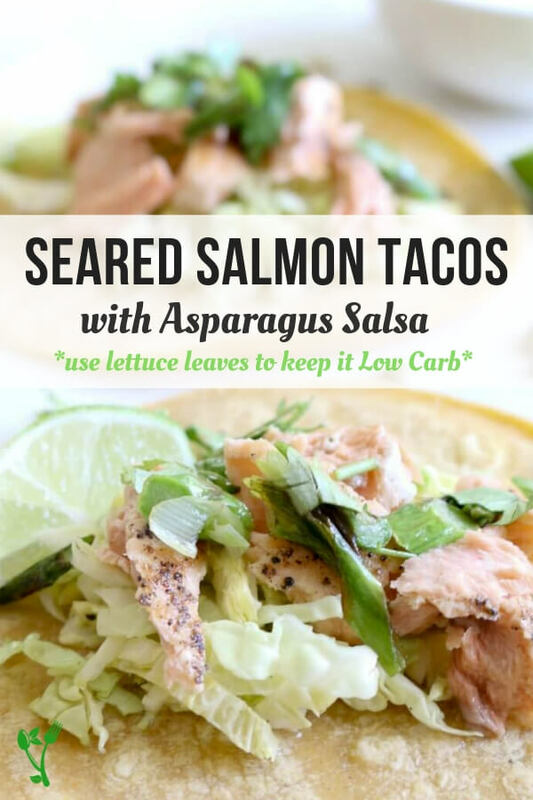 Salmon tacos- I love this idea! 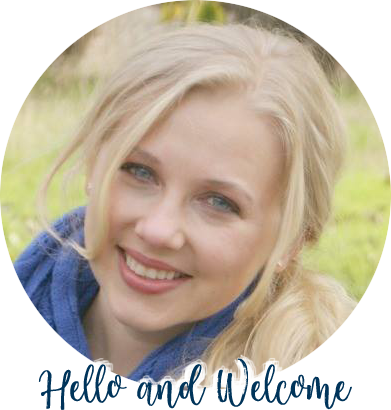 They look light and fresh and perfect for spring! Thank you Jessica. They’re delicious! I love me some tacos! 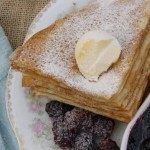 I’m looking forward to making these!